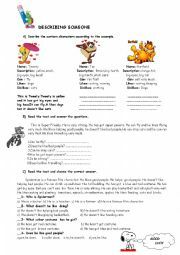 Describing a cartoon character and read , understand the text and answer the comprehension questions.Let´s do it! 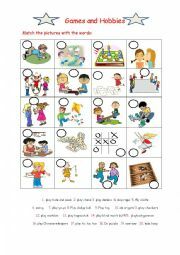 Write and match the illnesses and make suggestions according to the illness.Let´s do it! 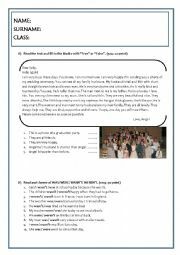 regular and irregular verbs and s.past tense exercises.It´s an easy activity. 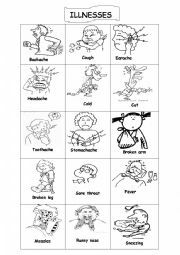 Health Pictionary.Students can be able to cut,color them and paste on their notebooks.Enjoy it! 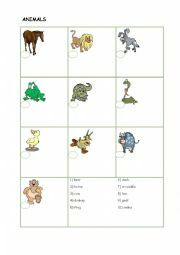 Match the tv programmes and answer the questions about your preferences.Let´s do it.It´s an easy exercise for English learners. This is an enjoyable matching activity.